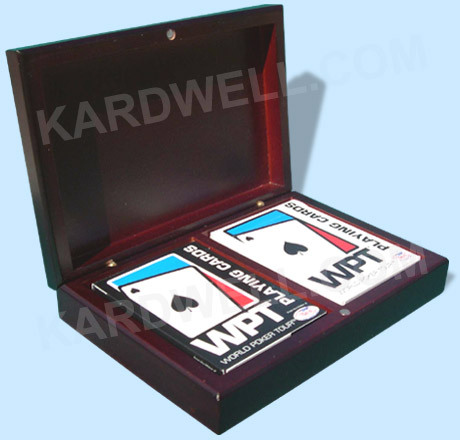 Our WPT Playing Card Box Set features one white and one black deck. These are the same cards used by the pros on TV's World Poker Tour. WPT cards are poker size and made on the same stock as Bee Playing Cards. The wooden storage box features a deep Mahogany-color stain and smooth finish. A magnetic locking mechanism keeps the box lid firmly shut.